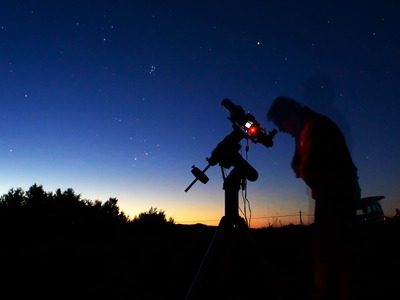 ShutterstockAn amateur astronomer peers through a small telescope. On March 31, much of the world will get to see the second blue moon of the year, making this a rare double-blue moon year. That’s according to a newer definition of the term “blue moon” – it would be impossible under an older definition. But both definitions allow for “blue moons” every two to three years. There’s another rarer kind of blue moon, however – but that one has to do with volcanoes and fires. On March 31, much of the world will get to see a rare event: A second blue moon in one year. It will be the second blue moon of 2018 – at least, according to one definition of the term. Despite the name, as many of us have learned at some point (often in a disappointing fashion, if we learned this as a kid) a blue moon doesn’t mean the moon turns blue. The term refers to frequency, not colour. We use the phrase “once in a blue moon” to refer to a rare event. Yet in real life, it sometimes seems we get blue moons on a fairly regular basis. That’s partially because we have two accepted definitions for “blue moon.” Both types occur every two to three years (occasionally more often), and if you count both, you get one of these events even more often. But who’s to say that’s a bad thing? But as it turns out, this modern definition actually arose out of a misunderstanding. 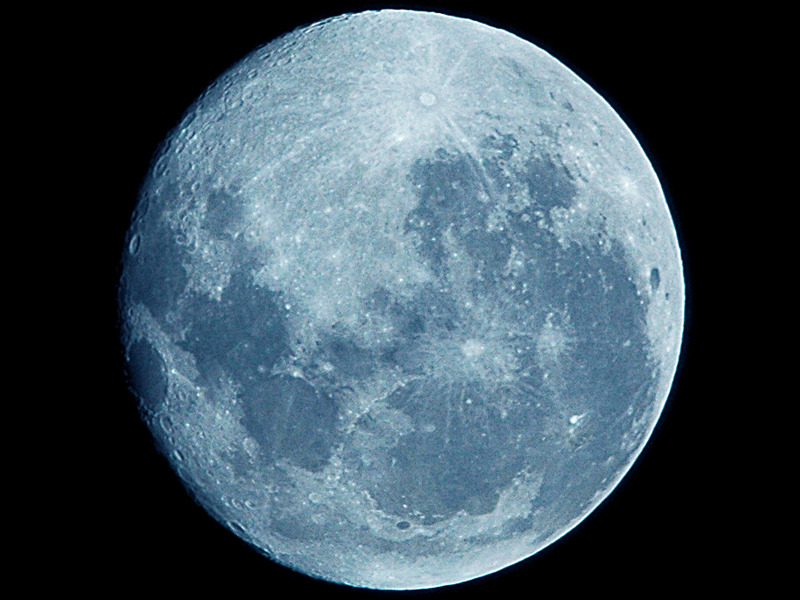 The older – and still valid – definition of a blue moon comes from the Maine Farmers’ Almanac. Historically, that publication defined a blue moon as the third full moon in an astronomical season containing four full moons instead of three. In each season, set apart by either an equinox or solstice, there are three months, which would normally mean three full moons. But since threre is a new full moon approximately every 29.5 days, an extra full moon in one season pops up about every 2.5 years. That definition was misunderstood in a column in Sky & Telescope magazine in 1946, which after a multi-year game of telephone, led to a whole new understanding of the term as two full moons in a month. That still usually happens every two to three years, but it also allows for the rare two blue moons in a year scenario that’s arriving March 31 (something impossible under the older definition). The next time that happens will be in 2037. Since “blue moon” isn’t a technical astronomical term in the first place, both definitions are now considered valid. If you want to trace the origin of the term “blue moon,” however, you might actually reach a time the moon appeared to turn blue. According to Sky & Telescope, back in the 16th century you might say “he would argue that the moon is blue” about someone who would deny a clear, obvious truth. From there the concept of a “blue moon” came to be the equivalent of “when hell freezes over,” something that’s just not going to happen. But then, in 1883, it happened. The massive Krakatoa volcano in Indonesia erupted, filling the skies with dust and ash. The sky turned red, sunsets turned green, and the moon turned blue, according to NASA. The same thing happened when the El Chichon volcano in Mexico erupted in 1983, when Mt. St. Helens erupted in 1980, and when Mount Pinatubo erupted in 1991. Forest fires like the September 1953 blazes in Alberta, Canada, reportedly have had similar effects. But with that mind, we’ll happily celebrate the extra full moon in a month or in a season variety.